Oh here's the 'CopPer-Fect' Unit with bangs from the Bold Colors Collection! The color's just...perfect for spring and summer!! 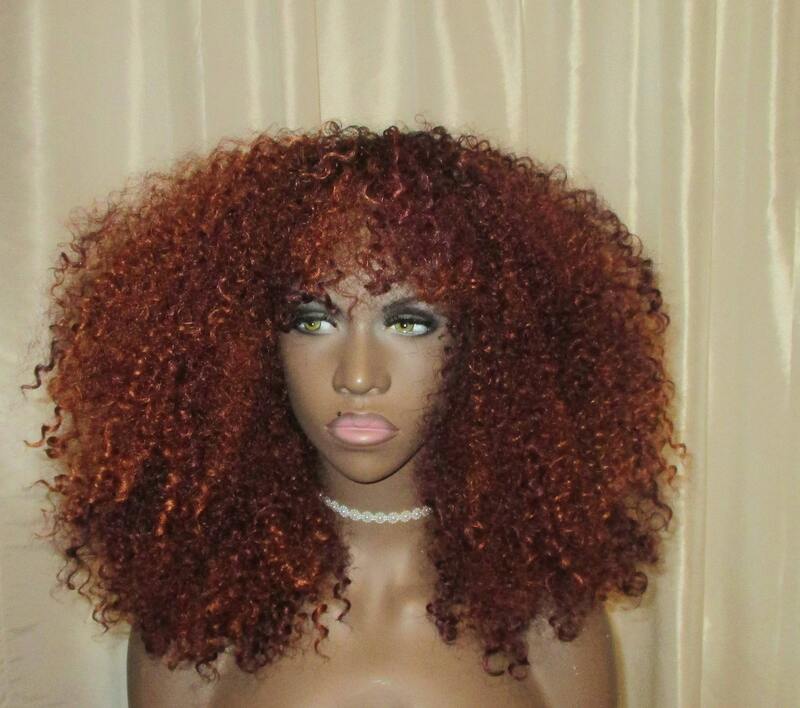 This is a super gorgeous natural hair wig which was created to mimic natural 3c hair. The hair has a light, fluffy, curly voluminous look! It is a super easy to maintain unit. 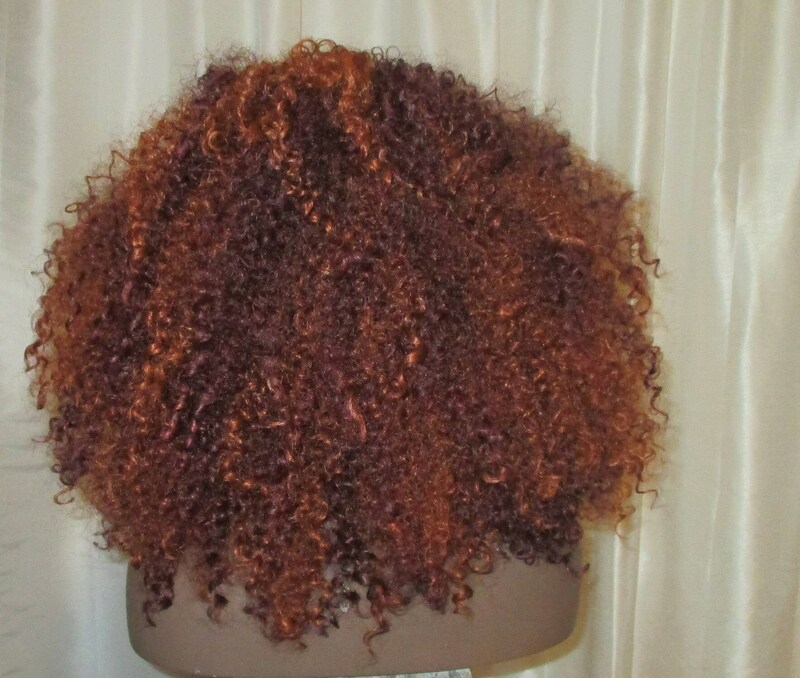 The unit has a beautiful fiery copper color with subtle dark berry undertones. No frills! No fuss! Just big, beautiful hair! You'll absolutely love this one! This is a full cap unit (no lace). The 'CopPer-Fect' unit has adjustable straps that the wearer can adjust for a secure, comfortable fit. I love this unit! 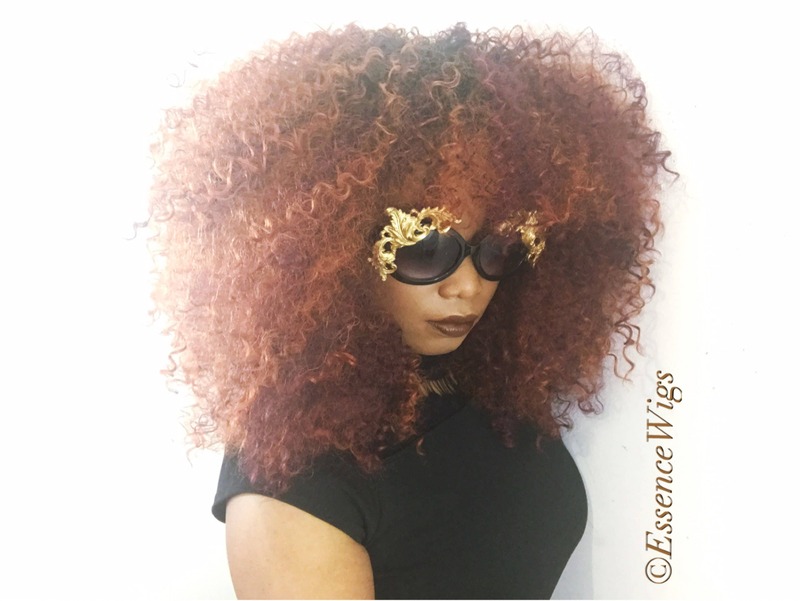 essencewigs was so helpful in answering my questions. 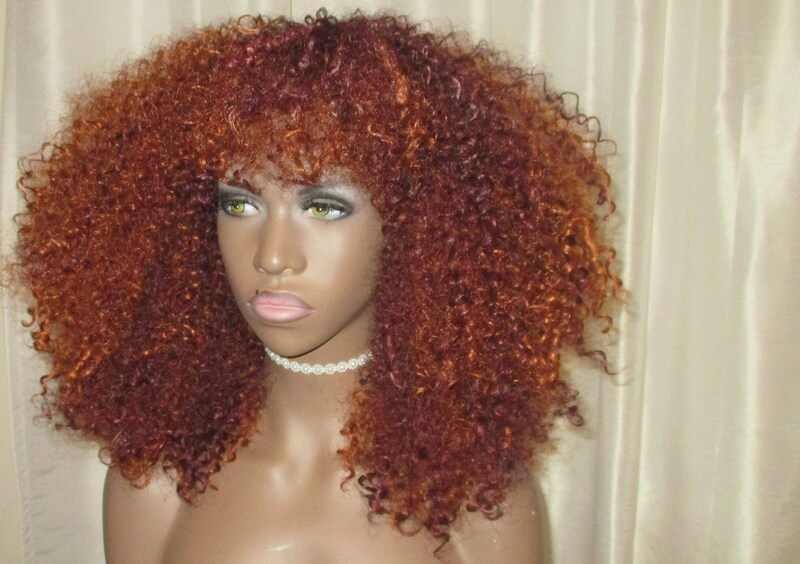 She actually helped me pick this one out after telling her what type of wig i was looking to buy or have made and my price range. It is really light and soft. Shipping was fast as well. Will definitely purchase from again.